Tagline- The Black Shadows of the Past Bred This Half Man, Half Demon, Creating a New and Terrible Juggernaut of Destruction! 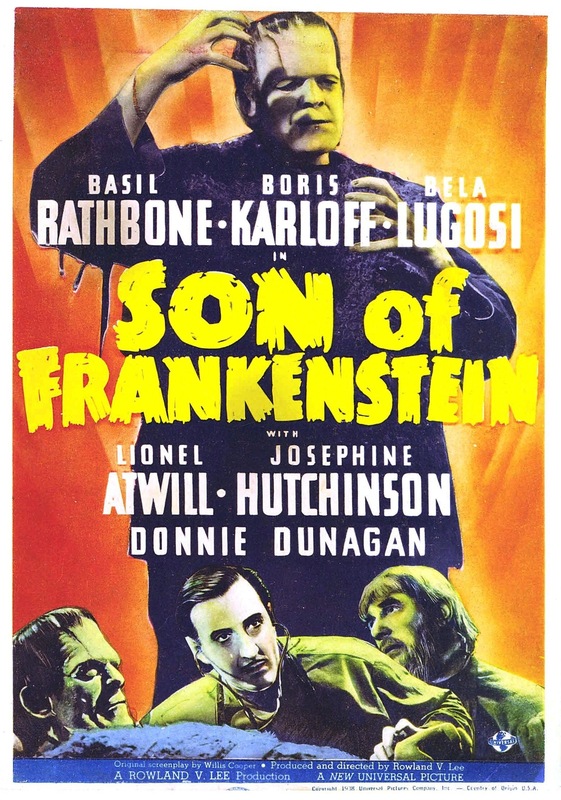 Released in 1939 Son of Frankenstein along with the Wolf Man in 1941 were the last two Universal Monster movies that in my opinion were Hollywood releases since most of the Monster Movies by Universal after those two had much more of a B-Movie feel and if not for better production values they slightly feel like they could be made by Poverty Row. 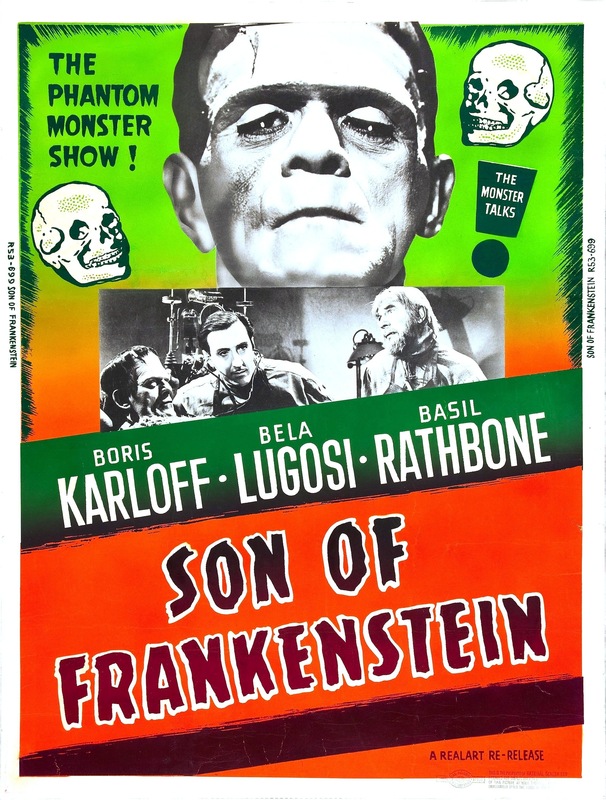 Son of Frankenstein from a technical side is better than the first two in the series. The production values are excellent and the film is more polished from the visual side to the editing. In terms of the films go Bride of Frankenstein trumps this not by a lot though, but I would say this was on part with the original. 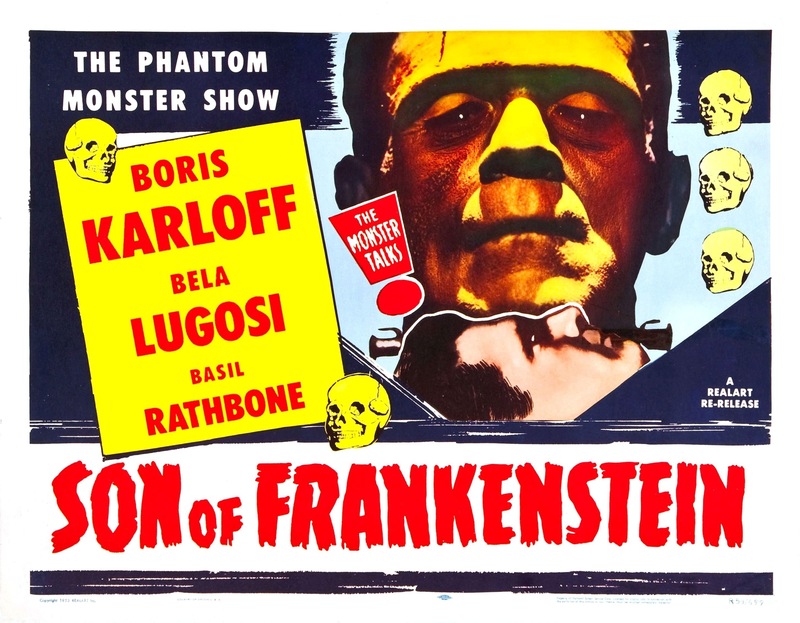 I favor the original, but its close and even though I think Bride of Frankenstein is better I really don’t think Son of Frankenstein is far behind and I find this one very underrated and should be held in the same regard as the first two even if they are a little better. 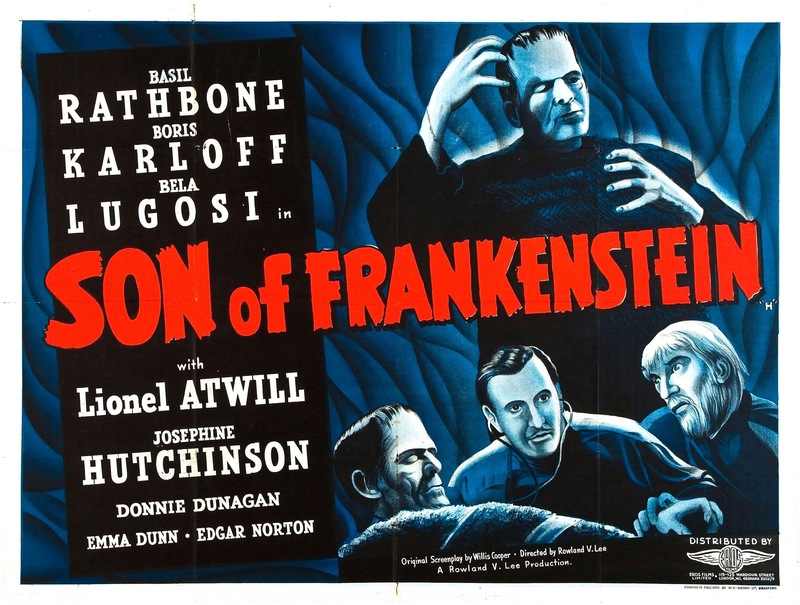 As great as this film is it does lack the James Whale touch who would leave the series after Bride of Frankenstein. When it comes to Universal Studios you’ll be hard pressed to find another studio with a greater legacy in the horror genre. 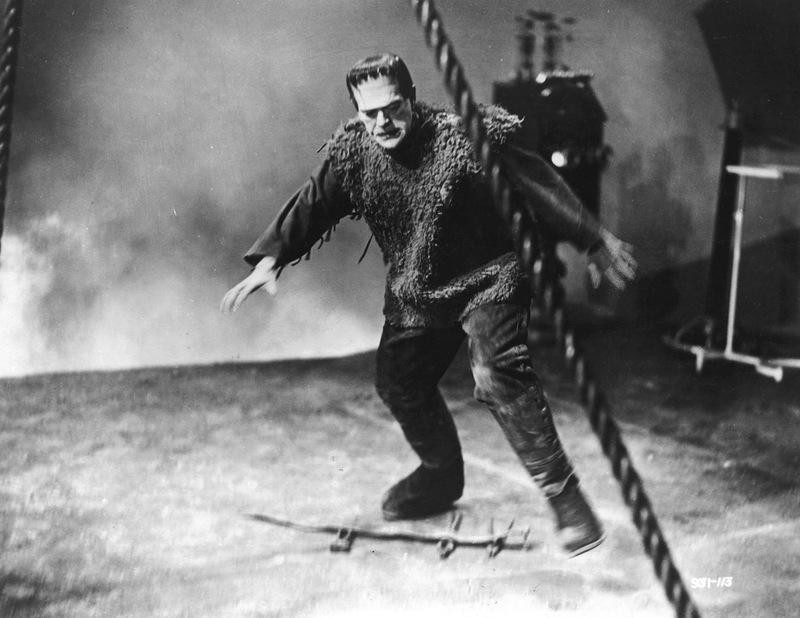 Who knows where the horror genre would be without the Monster Movies from Universal Studios as these films inspired generations of filmmakers and back in the 30s Universal set the bar for the horror genre. As I stated to me Son of Frankenstein was one of the last of the Golden era and I truly believe should be held in higher regard. 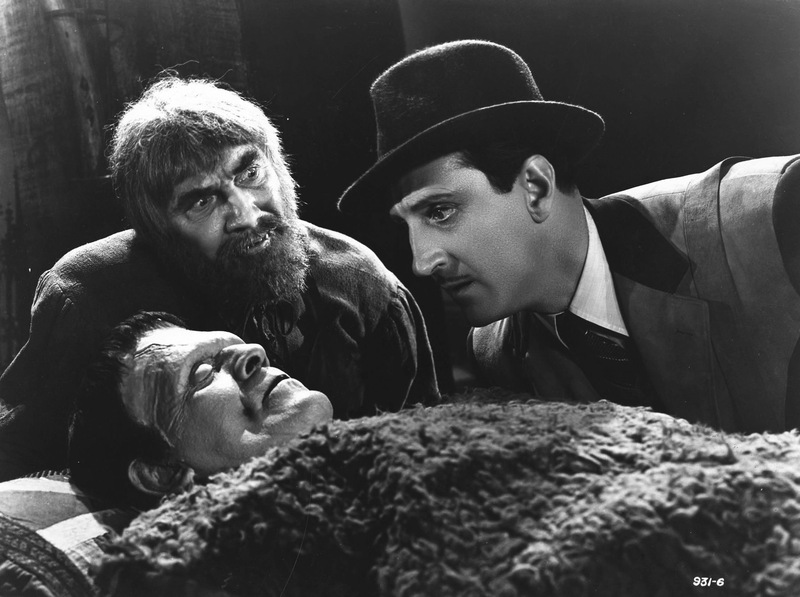 After meeting Ygor (Lugosi), Dr. Wolf Von Frankenstein (Rathbone) plans to bring the Monster back to life in hopes of changing him and restoring the Frankenstein family name, however Ygor has other intentions for the Monster. The script by Willis Cooper is fantastic; from a writing standpoint, Cooper might deliver the best written film in the series. The characters are excellent and the film is well plotted. If anything the main problem was how the Monster was used, which I’ll get into in better detail in just a bit. If anything Willis Cooper takes certain elements from the first two, but yet has enough originality that this doesn’t feel like a rehash, but instead it feels fresh. Director Rowland V. Lee takes over as director and crafts a truly terrific film. Like I said earlier from a filmmaking side of things, Lee delivers the best film in the series from a technical side. James Whale was a great filmmaker, but some of his films were a little rough around the edges, which may have to do more with how films were made at the time. 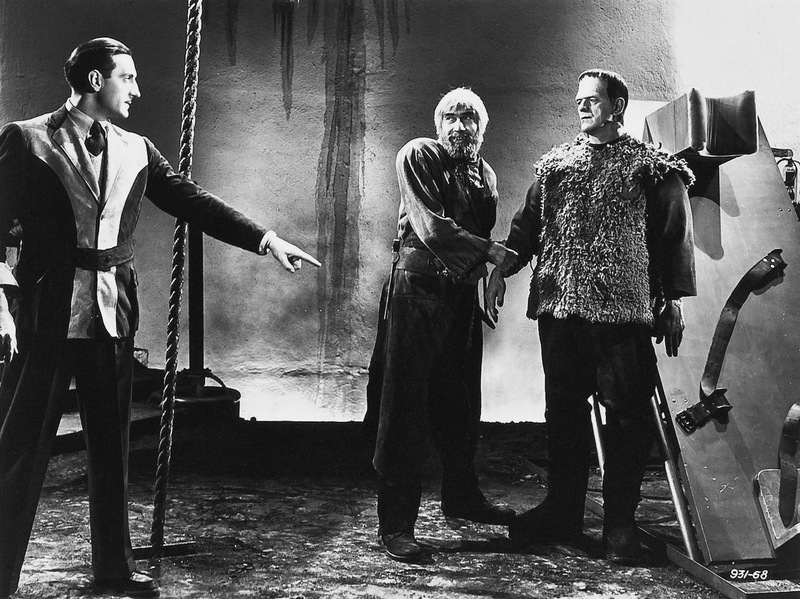 Now that’s not a knock at all on Whale since with the first two Frankenstein films he crafted two of the all time greats. 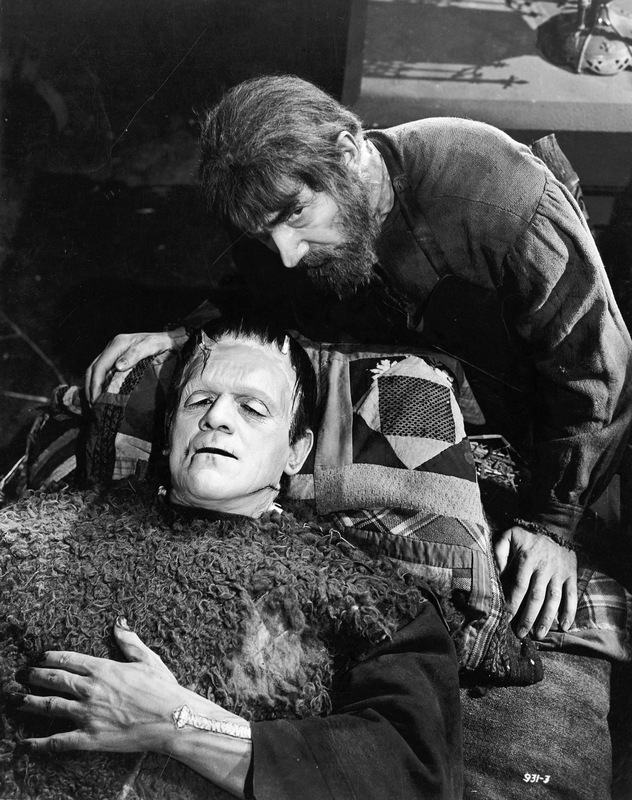 And while Son of Frankenstein might be the best made it does lack the James Whale touch. 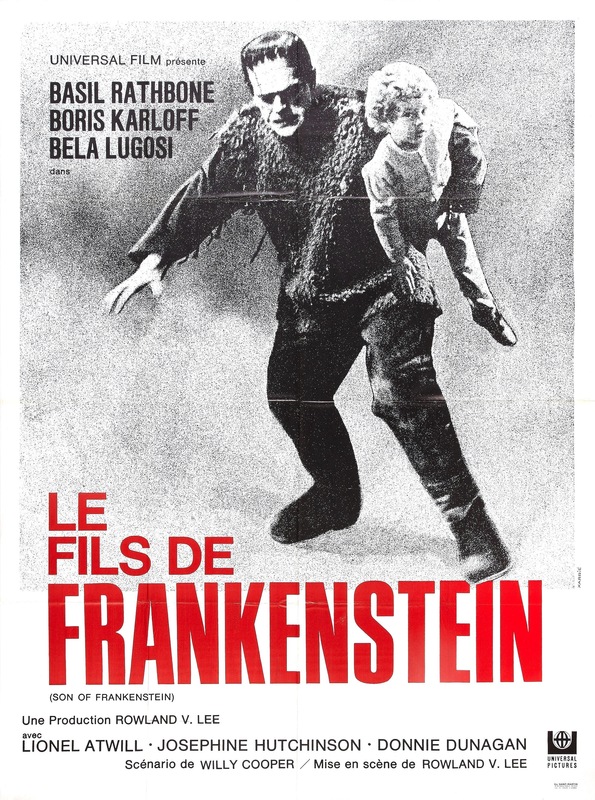 Son of Frankenstein gets off to a quick start and Rowland Lee does a great job at setting up the story, but around the middle things do slightly slow down however with an excellent script and an excellent director, Lee is always able to keep the film moving at a steady pace even if a little slow as Rowland Lee manages to get the most out of every scene. 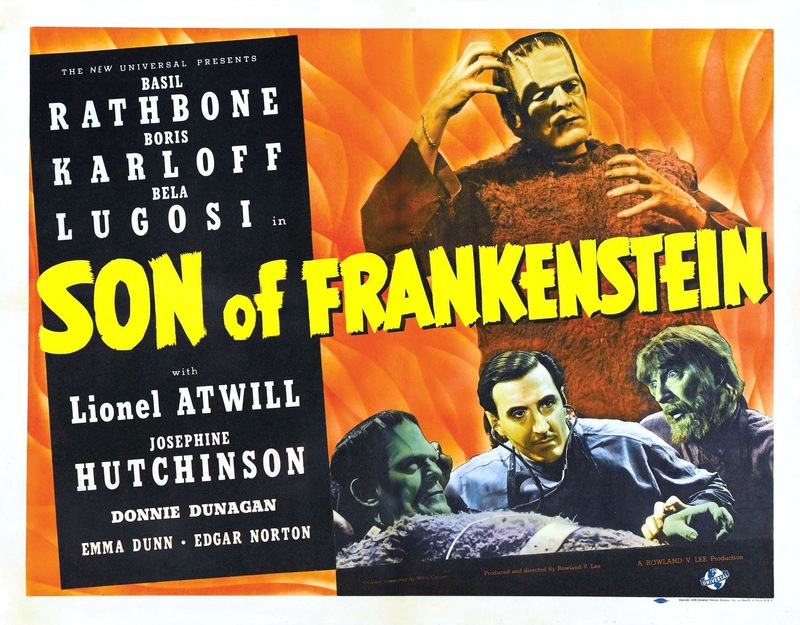 Son of Frankenstein does lack the eerie feel of the original and the fun campy tone of Bride of Frankenstein, though this down have some light moments, but never plays up to camp factor. 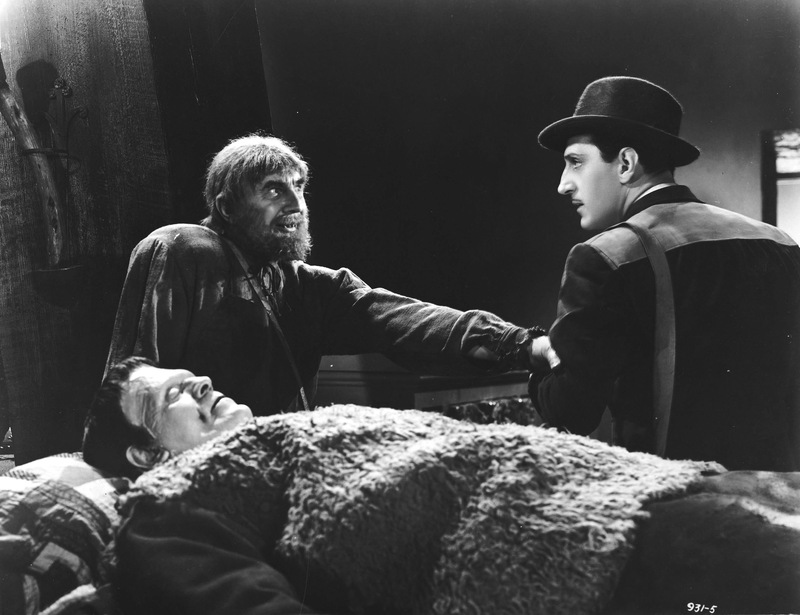 While Son of Frankenstein might lack overall in terms of suspense it’s made up for in just being a great film, but the film act is great and drivers some truly great scenes of suspense. 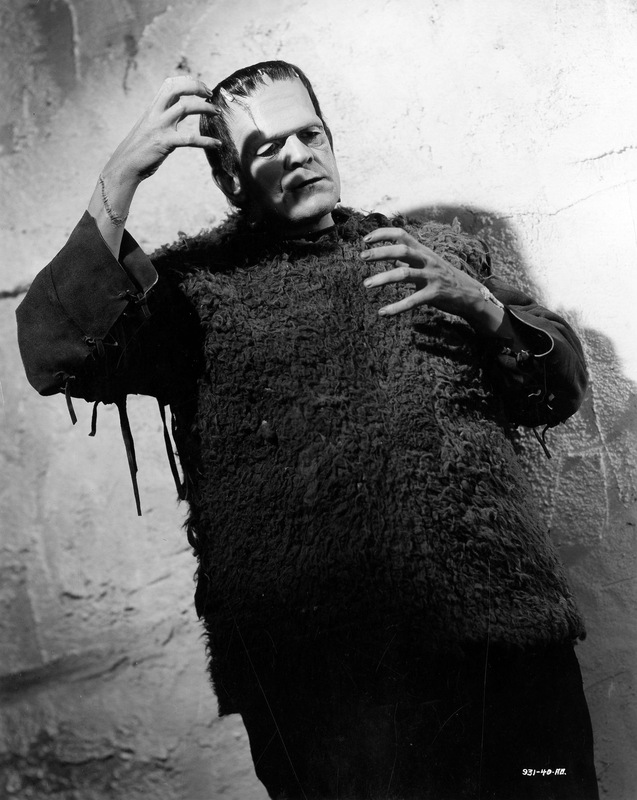 About the only complaint I have is the way the Frankenstein Monster was used. Unlike the first two the Monster really doesn’t have the same impact as he wasn’t as crucial to the story. 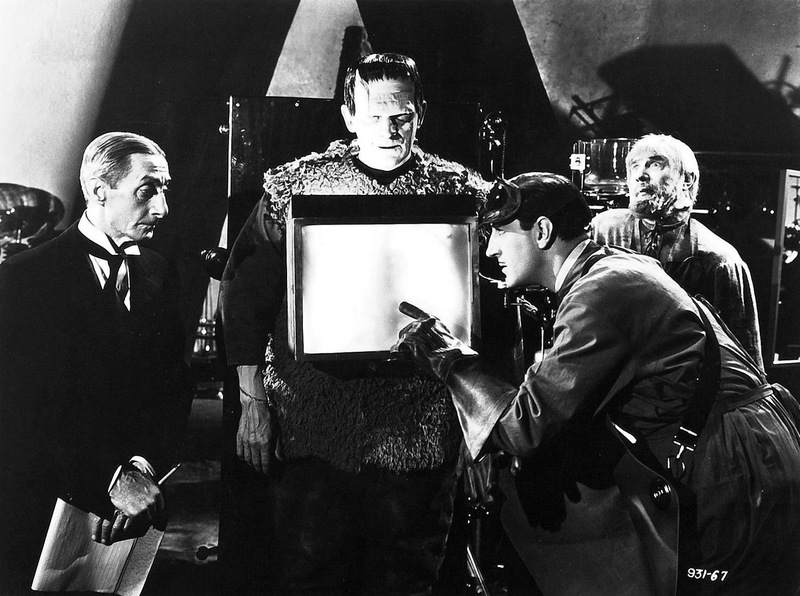 The Monster doesn’t enter the film until about 30-minutes in and doesn’t really do much until the hour mark. 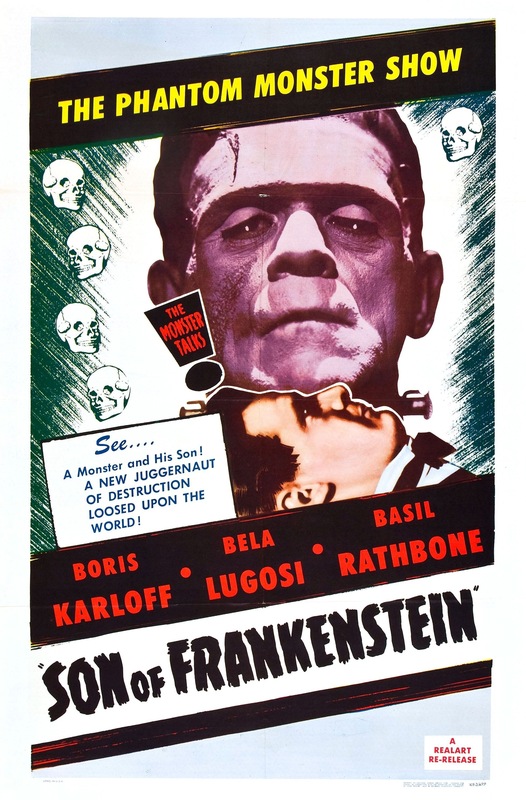 Boris Karloff plays the Monster for the 3rd and final time and I find his performance here very underrated. 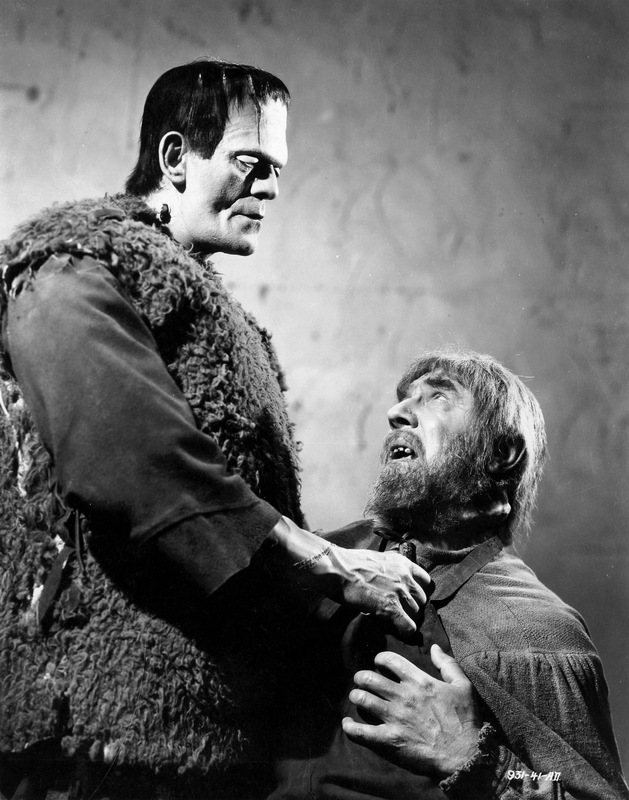 While Karloff was better in the first two, but James Whale also was a big reason for that, but here the Monster wasn’t as sympathetic and in some ways more of the villain. A lot of people label the Monster a villain, but that wasn’t true. The only time he killed anyone was either an accident, he was scared of provoked. All he really wanted was to be accepted, but here he is a little more villain like. The one thing we know is the Monster can be manipulated and Ygor very much manipulates the Monster for his personal revenge. Boris Karloff still shines though when given the chance such as when he sees his own reflection in the mirror and these scenes were truly brilliant and nobody except Karloff could have pulled this off. While the Monster may not be as sympathetic, but this was the scariest he’s ever been. In the final act when the Monster finds Ygor dead (though some how is alive in Ghost of Frankenstein), but when he finds Ygor, the Monster lets out this scream and goes on a rampage. The rage and anger Karloff showed was quite creepy. 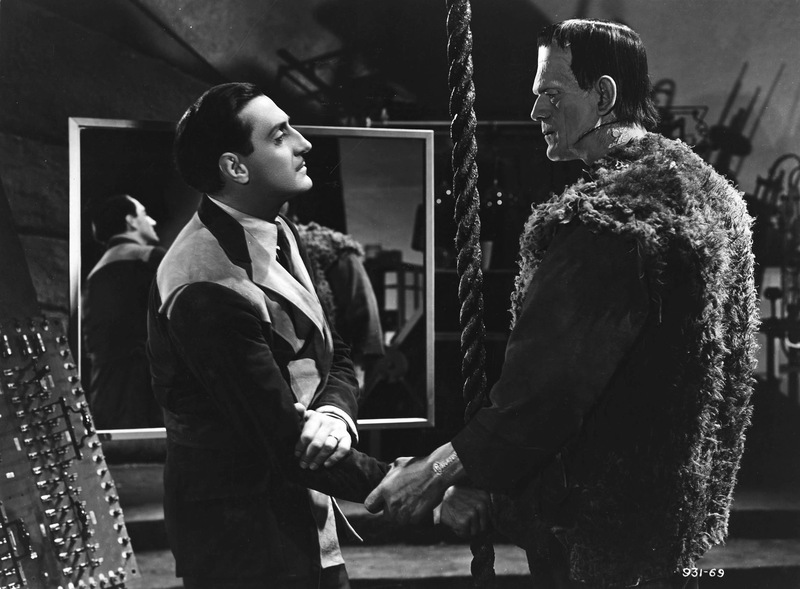 In the film the Monster often visits Wolf Von Frankenstein’s son. All of this is off camera, but the child tells how he gave the Monster a fairy tale book. In the final act, the Monster looks at the book and he gets this even grin and takes off for the kid to get his revenge. 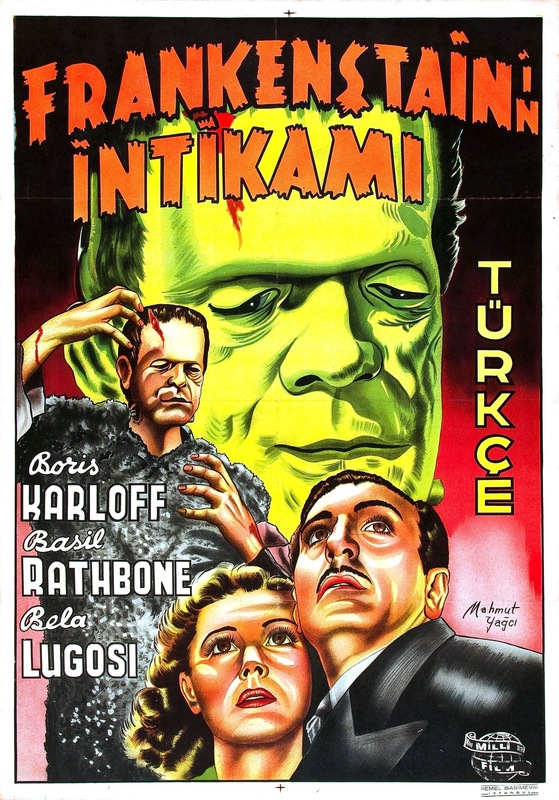 This was truly brilliant and Karloff was nothing short of amazing, which is why I said his performance was greatly underrated. 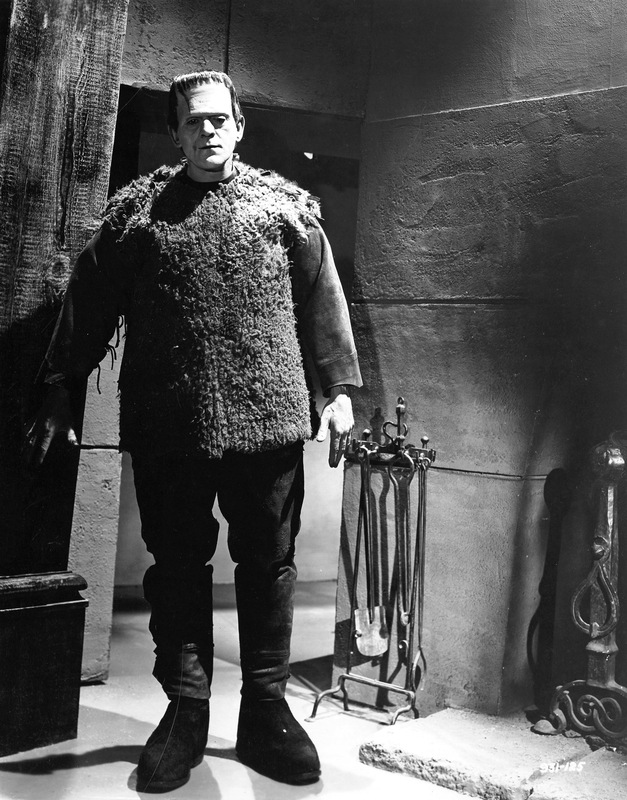 The Monster wasn’t as crucial to the story this time around, but Karloff still pulls it off. 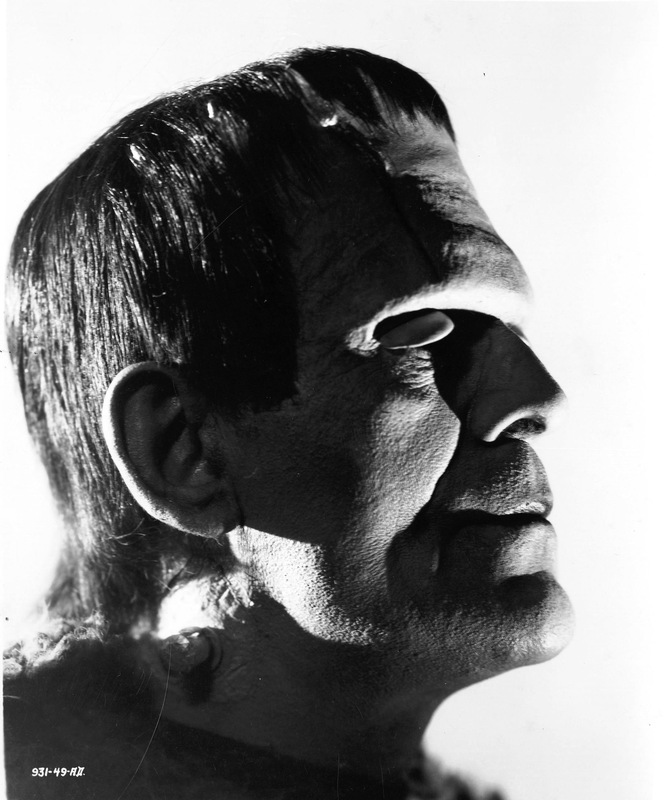 Many actors have replaced other actors in roles and while some were better others inferior and some ok, but nobody ever came anywhere near the level of Karloff as the Monster. 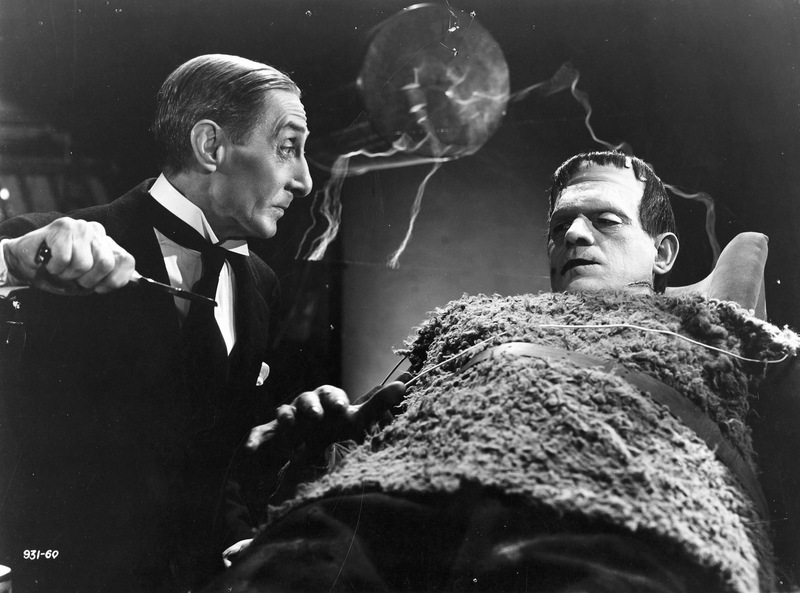 Karloff’s Monster isn’t mindless and doesn’t lumber around. 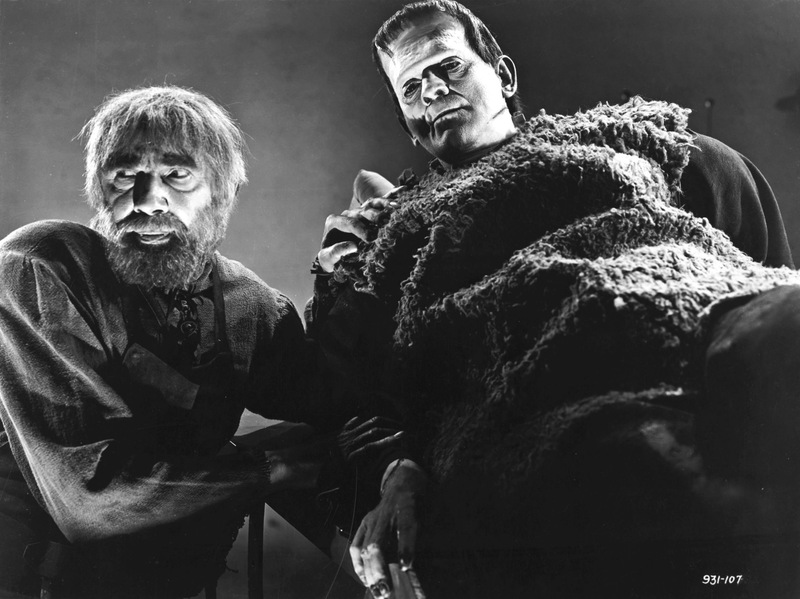 Lon Chaney would take the role over in the next film Ghost of Frankenstein and Chaney would be my 2nd favorite, but he’s a very, very distant 2nd to Karloff. 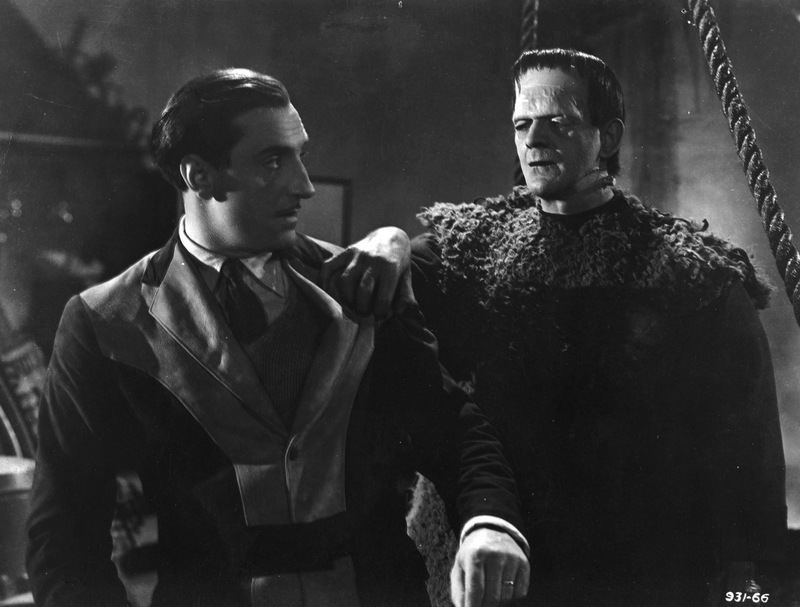 Basil Rathbone as Wolf Von Frankenstein is excellent and while some thought he was a bit over the top I for the most part disagree. There are times he might ham it up a bit, but for the most part I didn’t think so. As great as Colin Clive was in the first two he was over the top. Rathbone delivers a wonderful performance. 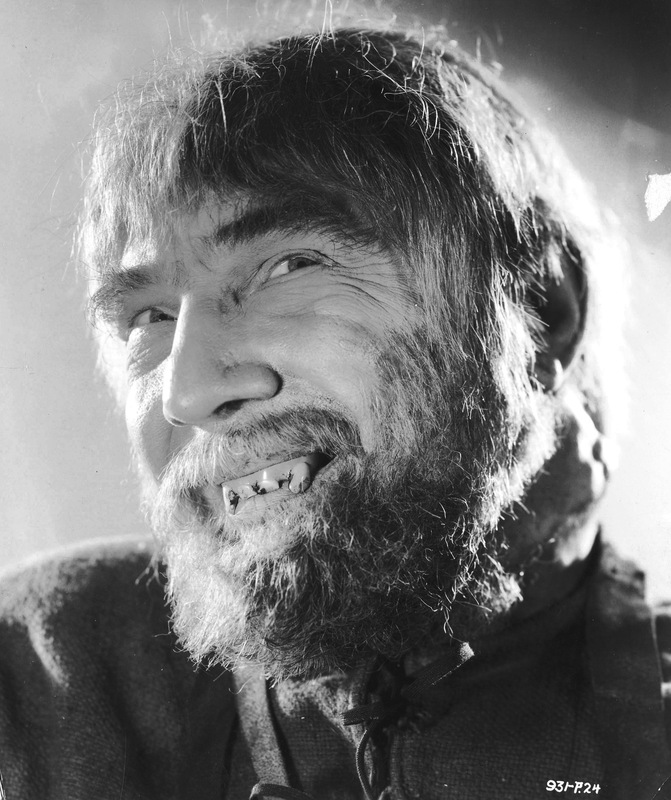 Bela Lugosi as Ygor was great and there are some that consider this his best performance and while I would go with Dracula a case however can be made for Ygor being his best performance. However Lionel Atwill steals the show. 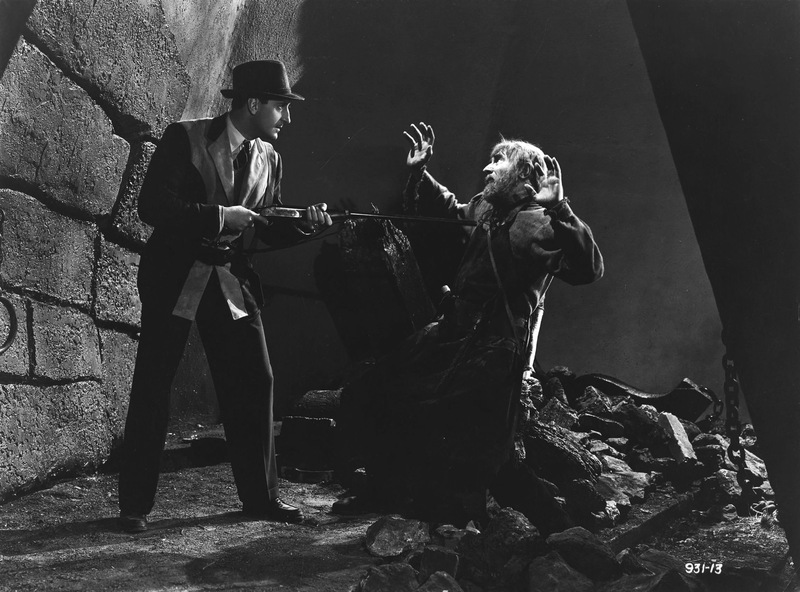 Atwill starred in a number of Monster films and like Edward Van Sloan he’s sort of the forgotten made, which is unfortunate since Lionel Atwill was an excellent actor and steals the show here. 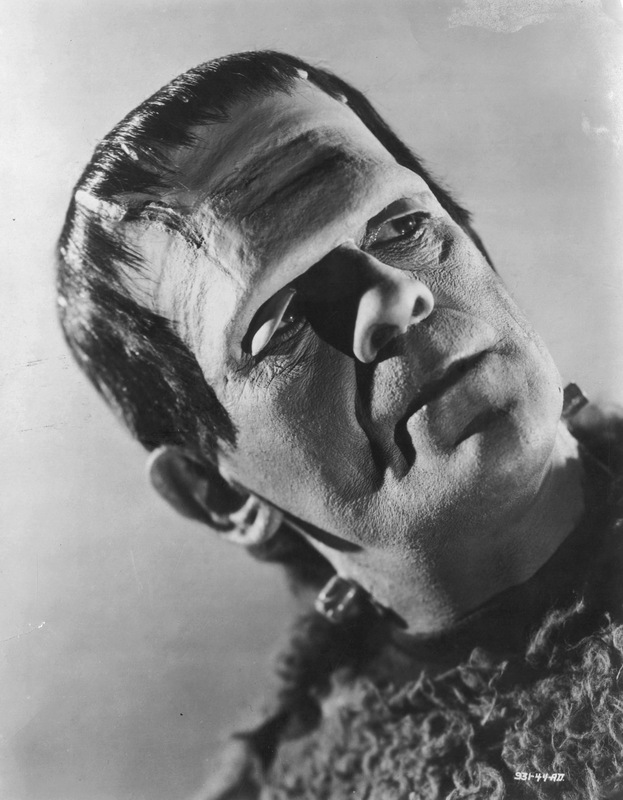 Son of Frankenstein was a great film and once again should be held in higher regard than it is. Despite its classic status it doesn’t get as much attention as it should. The first two Frankenstein films may be better, but this can stand proudly with them. At 99-minutes this was the longest of the series since most ran between 67-75 minutes. 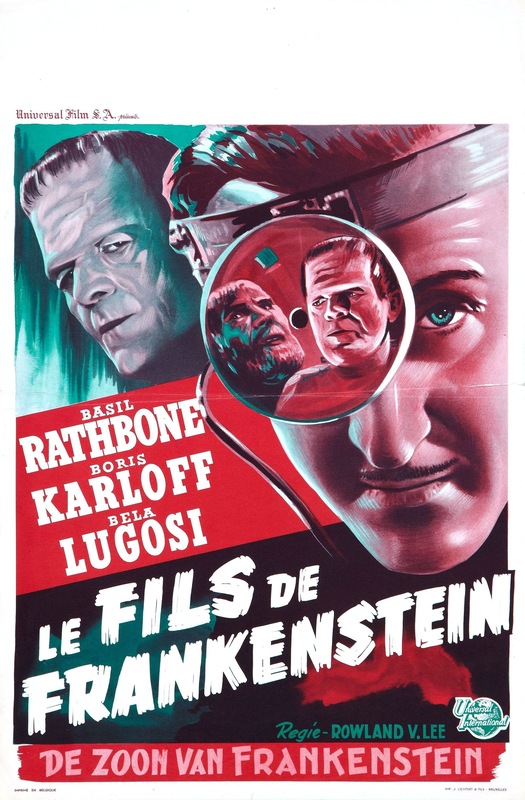 And while it could have perhaps lost a few minutes Son of Frankenstein is a great film nonetheless.